well, it certainly was a whirlwind of a trip, but i really made the absolute most of it. 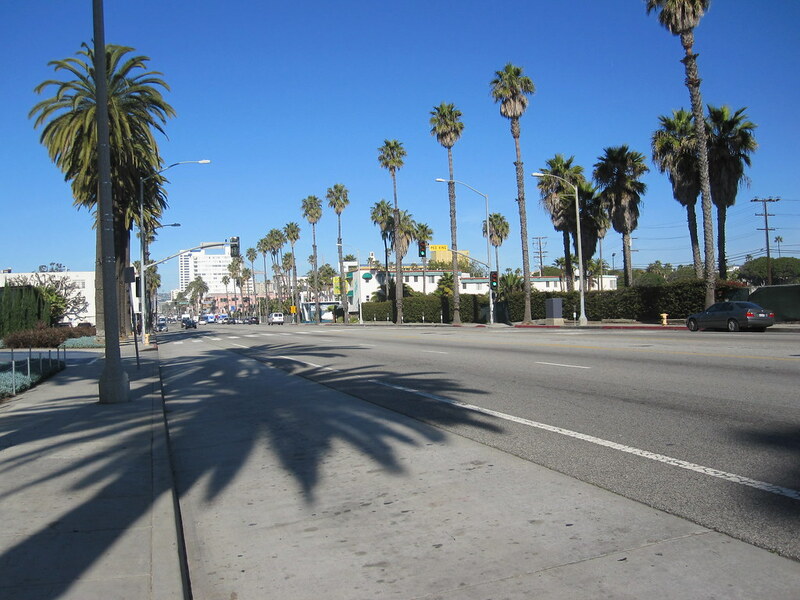 we arrived at LAX around noon, took a cab to our hotel, and immediately ventured out for mexican food. there was a place called el texate a few blocks away, so we walked there. 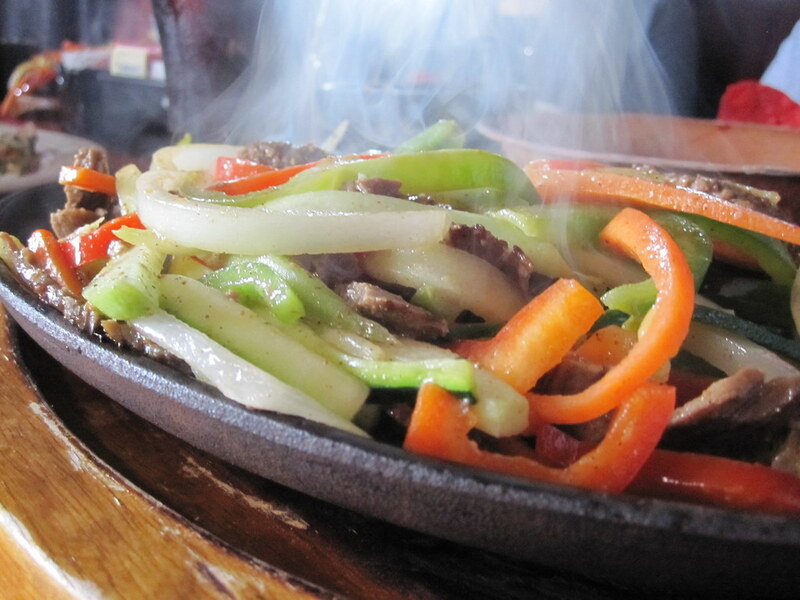 the salsa was divine, and i enjoyed a pomegranate margarita with my steak fajitas. then, bad idea, we went to the gym. note to self: do not go to the gym immediately after eating mexican food. i thought i was going to barf. 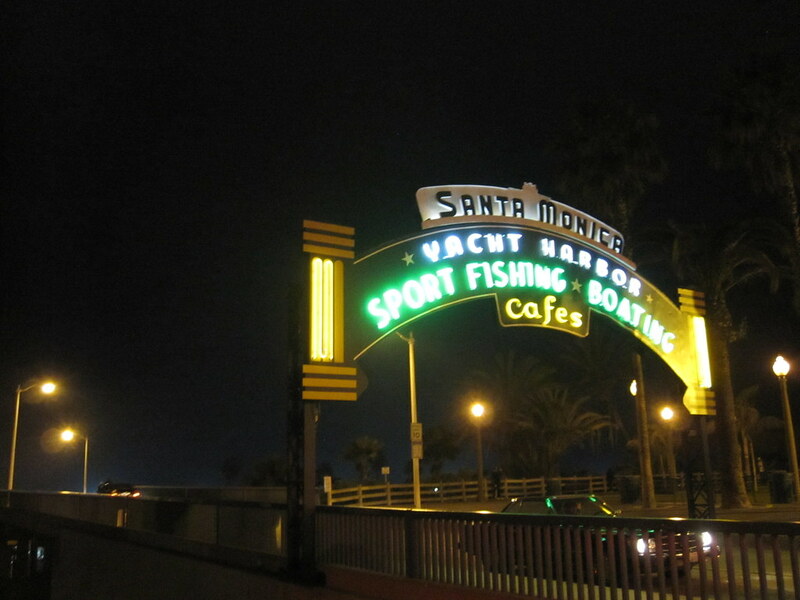 after the gym, greta, chelsea and i walked up to the 3rd st. promenade to check out the shops and find a place to eat dinner. 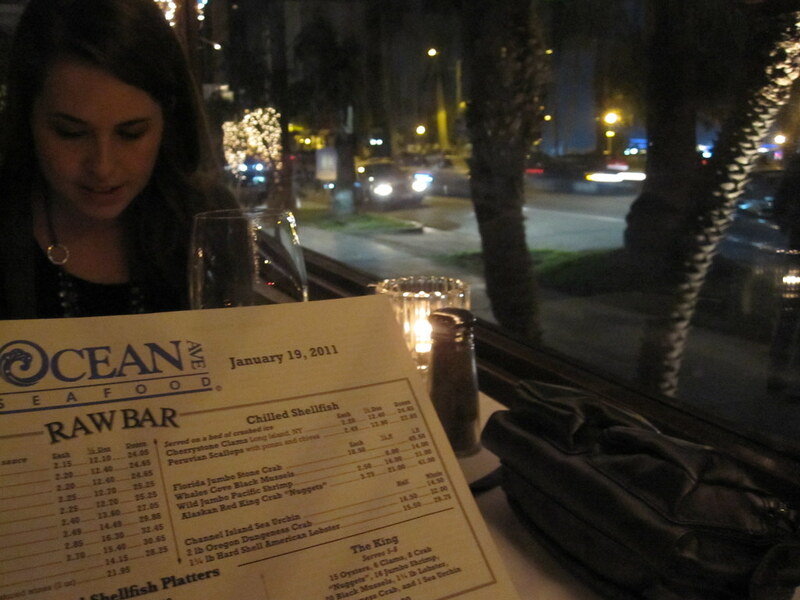 we walked by one of the places on my list, Ocean Avenue Seafood, and decided to go in. that was a great decision. 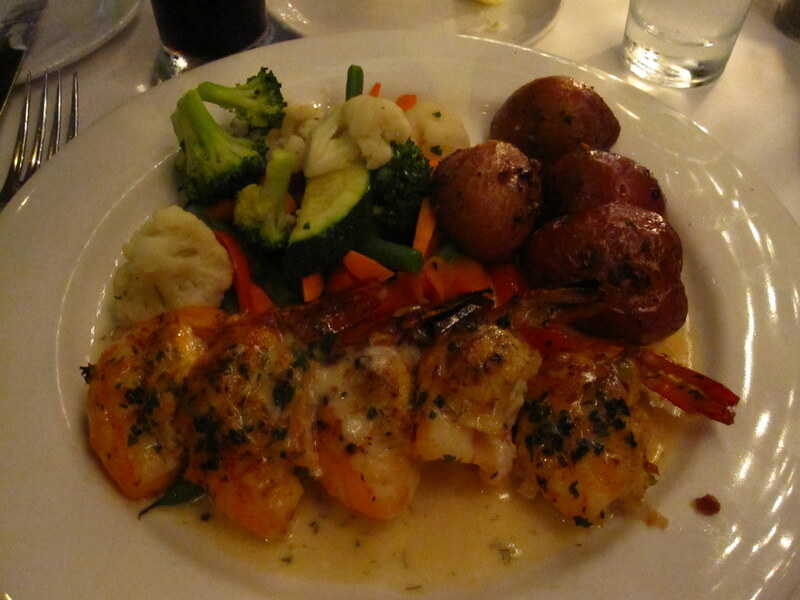 we ordered their popular lobster taquitos for an appetizer, and then i had the stuffed shrimp. it was delectable. 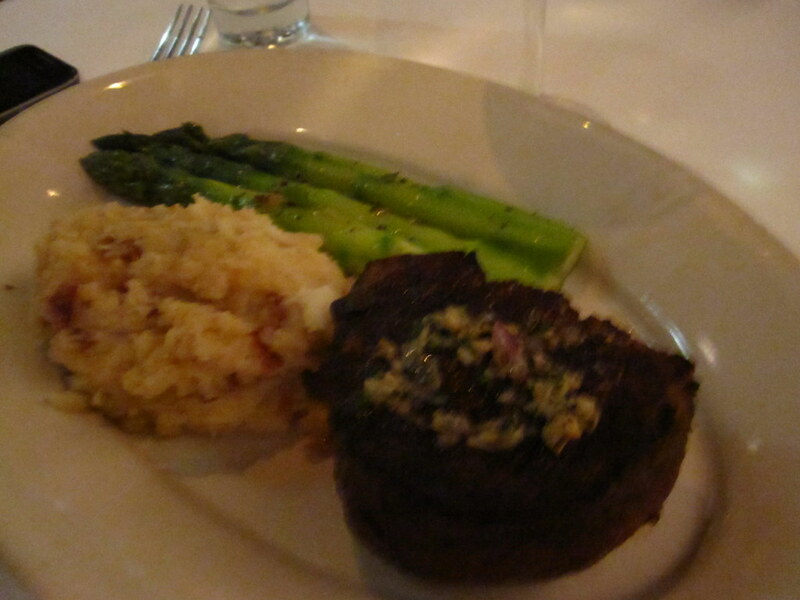 chelsea had seared tuna, and greta had a filet with ocean ave's signature bleu cheese mashed potatoes. we were all quite content with our meals. after that we headed back to our rooms and fell soundly asleep. 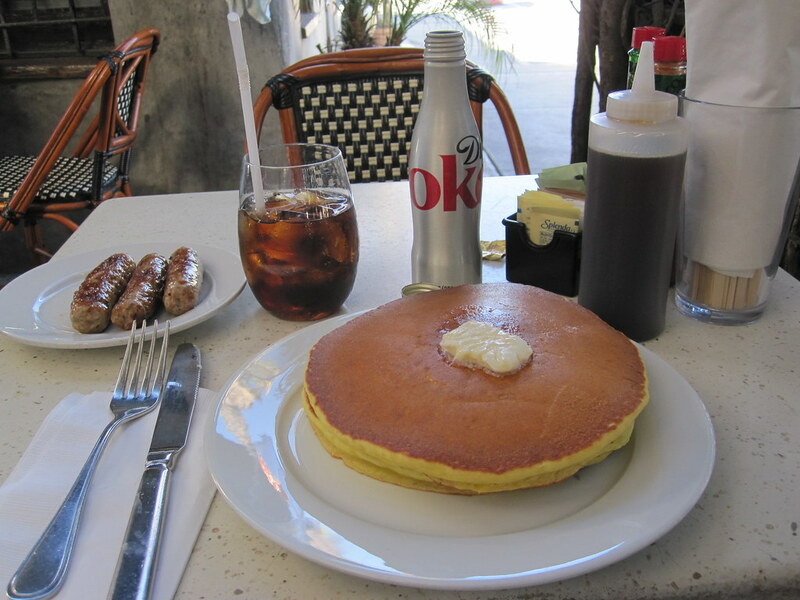 i started my morning with a jog on the treadmill, then immediately got ready and ventured out to breakfast. i had heard great things about cora's coffee shop, and they did not disappoint. 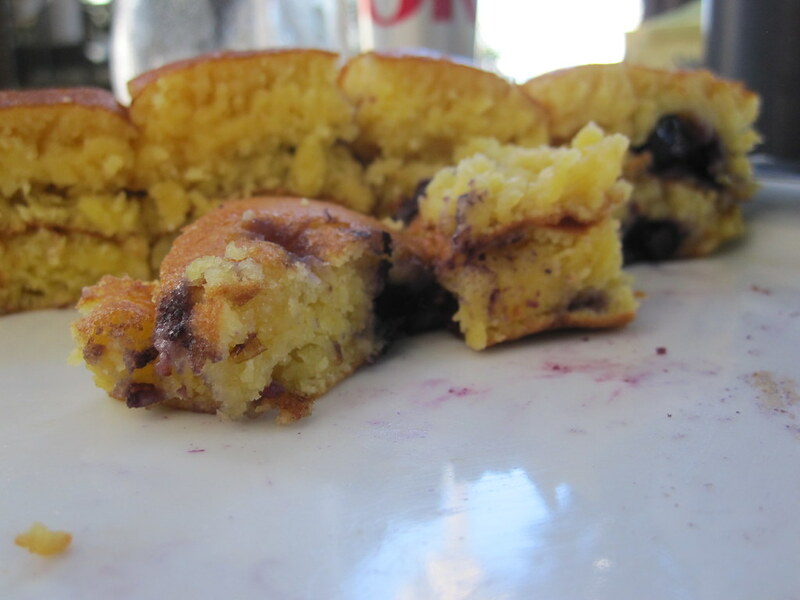 i had the orange pancakes with fresh blueberries (something i will definitely try to re-create in the near future). quite possibly the best breakfast i've ever had. 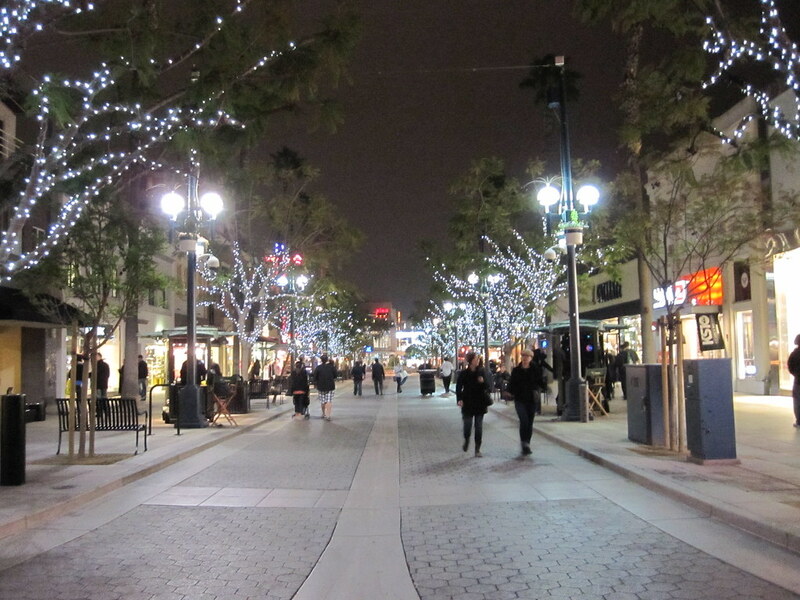 after stuffing myself silly, i wandered around aimlessly until i happened on the 3rd st. promenade again. 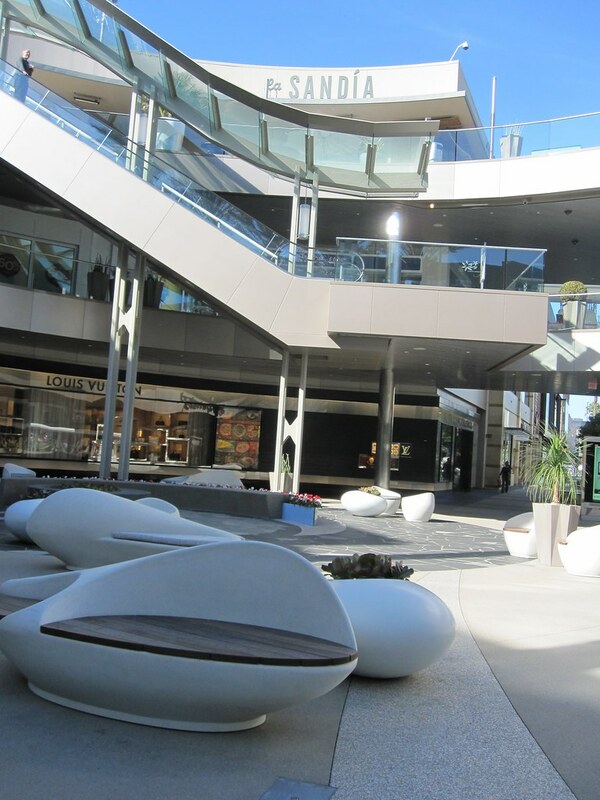 i had to use the little girls room after drinking 2 diet cokes (sweet nectar) at breakfsat, so i went into nordstrom and discovered that it was the gateway to a beautiful open-air shopping mall. 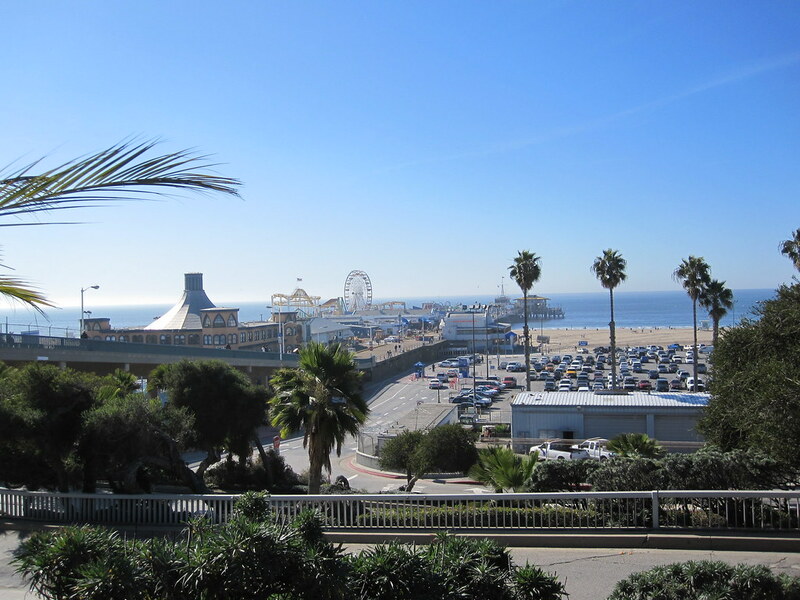 after taking care of business, i decided i wanted to look for an LA-only store, since most stores you typically find at malls can be found anywhere (especially in tysons corner). i found a store called johnny was and instantly fell in love with their ethereal, boho chic apparrel. the best part, however, was that the sales clerks were so friendly and gave me great tips on things to see and places to eat. they sent me on my way with a new scarf and a post-it note full of ideas. and - best of all- directions to fred segal. thank you leslie and tara! 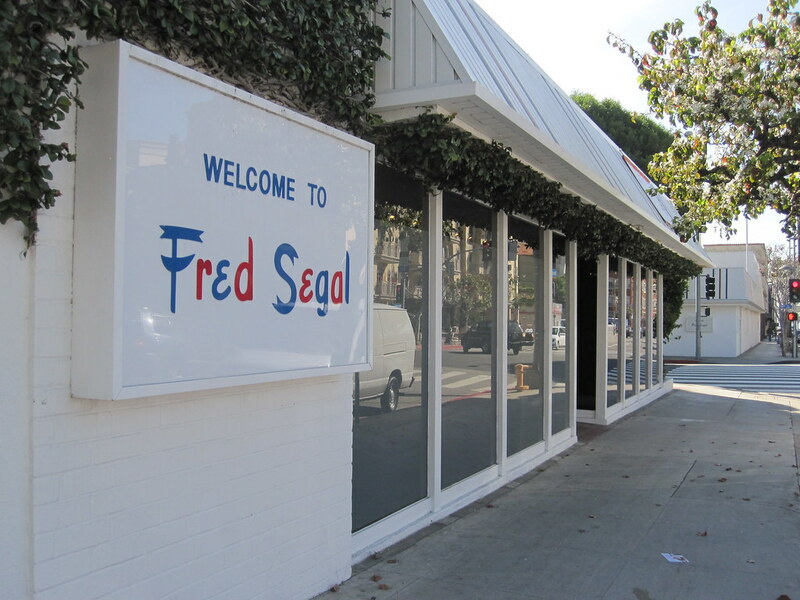 i browsed around fred segal for about an hour, soaking it all in, but didn't buy anything. so i wandered deeper into santa monica and came across the local supermarket, vons (even the supermarkets have cool names! doesn't von sound like the name of some cool surfer dude?). i was still full from breakfast, but afraid i might get hungry soon, so i bought a few itty bitty apples and stuck them in my purse. 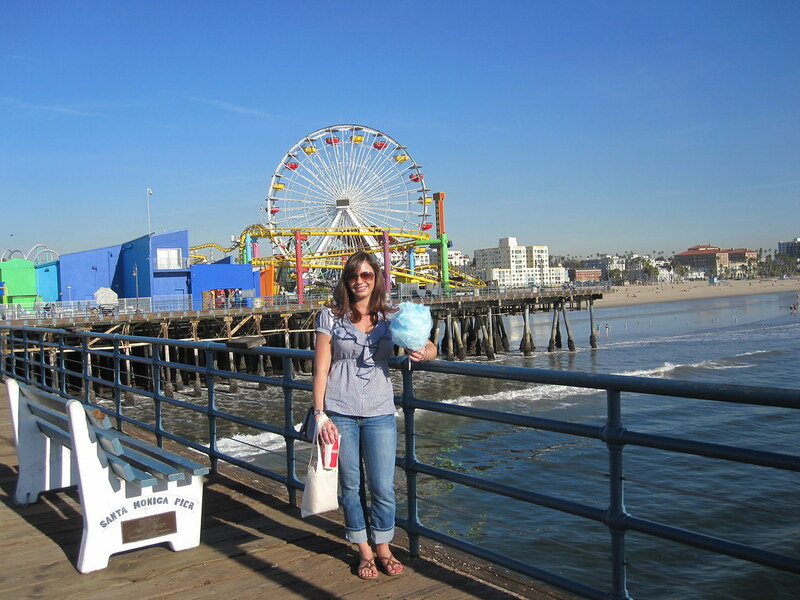 then i made my way back to ocean ave (with a few more shopping stops on the way) and down to the santa monica pier. 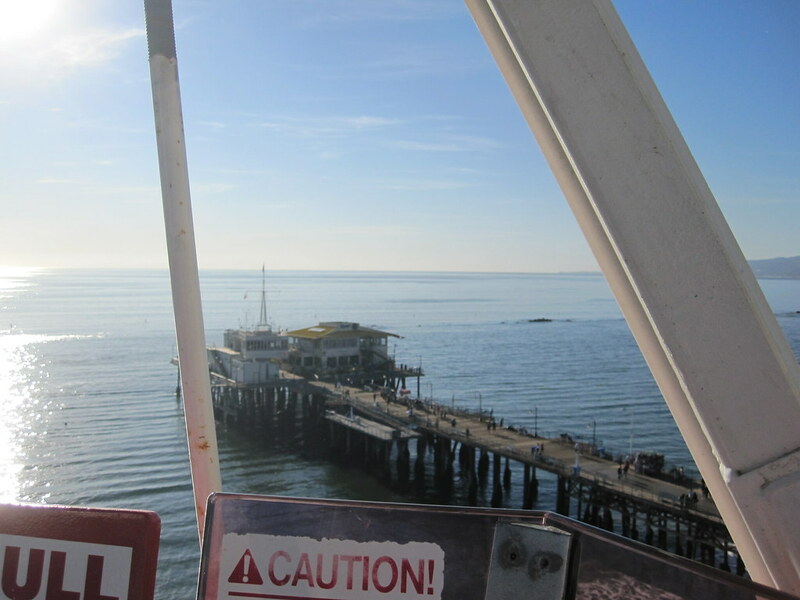 i had myself a diet coke, a cotton candy, and a ride on the ferris wheel. pure bliss. 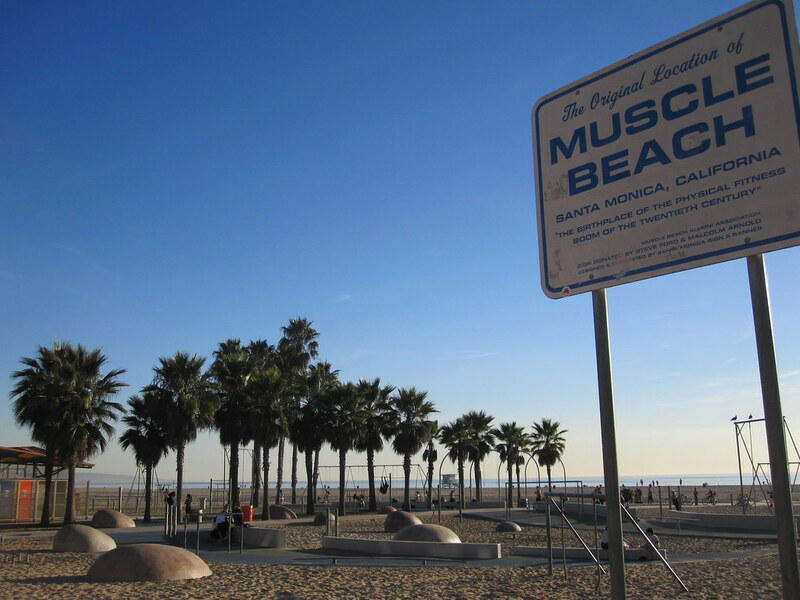 it was time to start heading back to get ready for happy hour, so i took a stroll down to the beach and - here comes the exciting part - i took my first ever dip in the pacific ocean! i just stuck my feet in, but it was still an exciting moment for me! 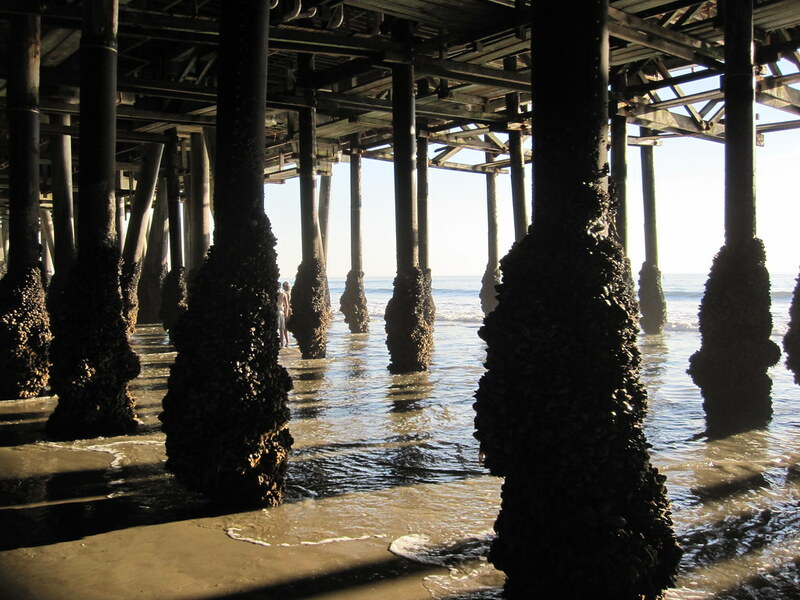 i walked under the pier and back to the hotel along the beach. 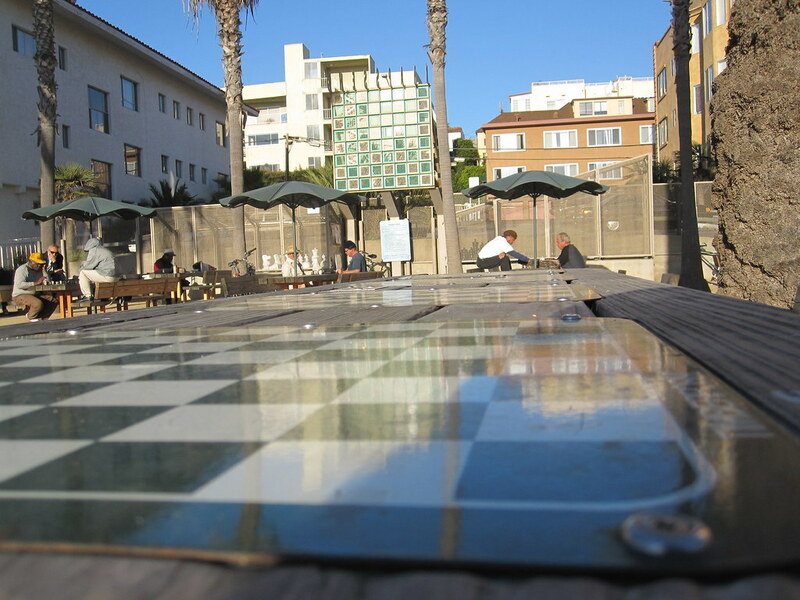 on my way, i stopped at muscle beach and chess park and made a few more friends while i was at it. everyone in california is so nice! 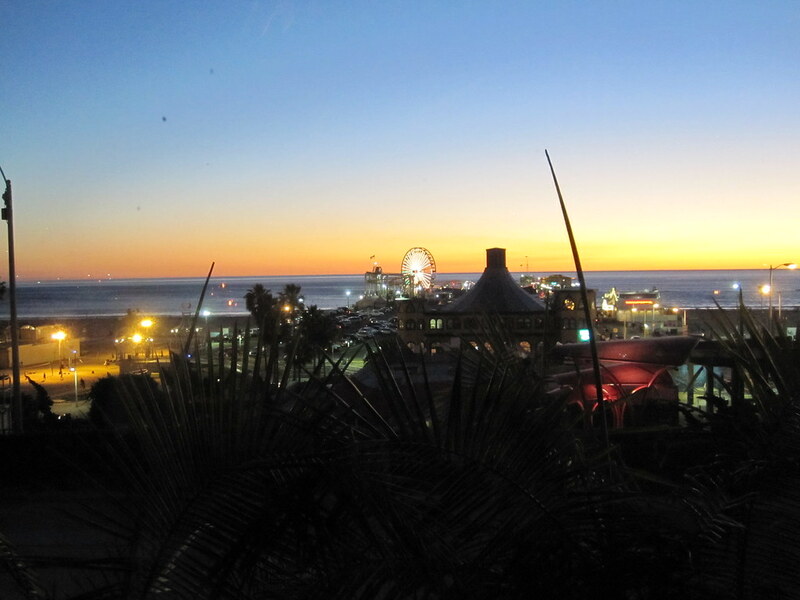 back at the hotel, i changed quickly and then took a taxi to the huntley hotel to get a sunset cocktail at their swanky penthouse restaurant. it was just as impressive as i imagined it would be. i didn't stay long, as i had a table reserved for me at the lobster. 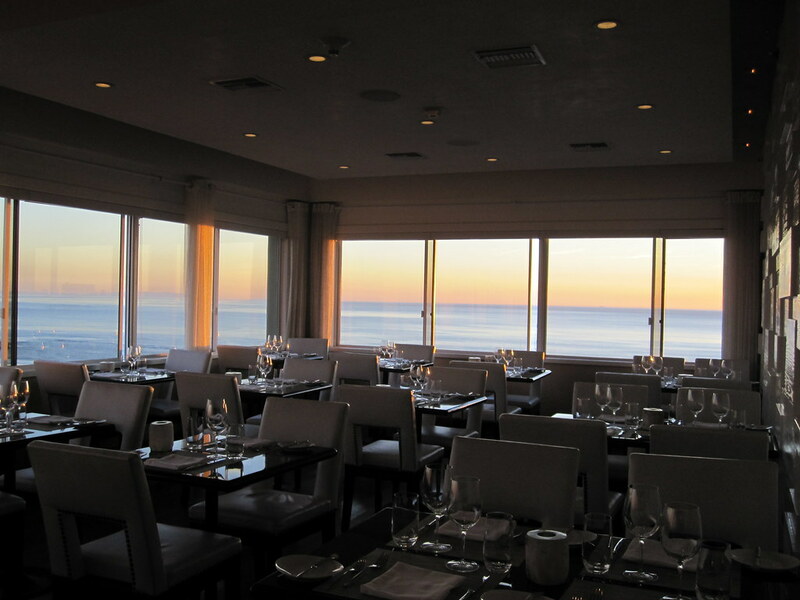 my view at dinner was magical, as was my grouper and glass of chardonnay. 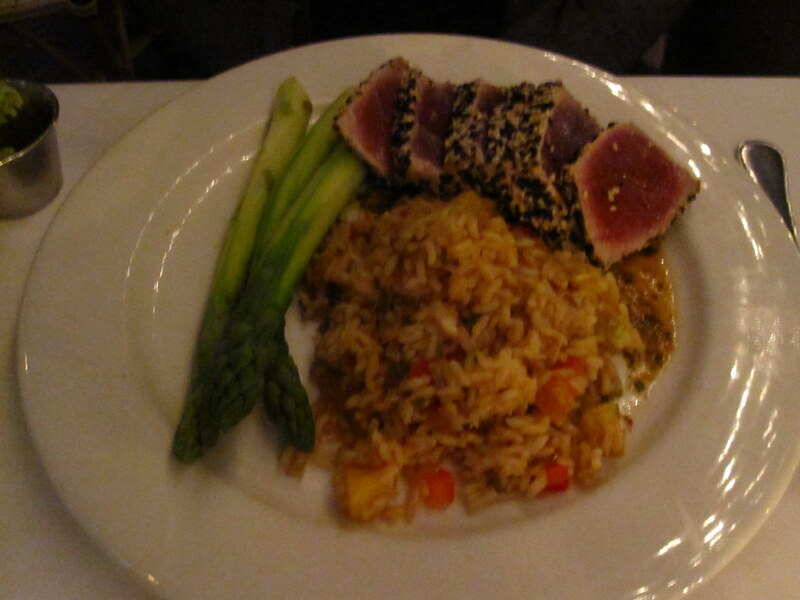 and my waiter, tim, was a delight. 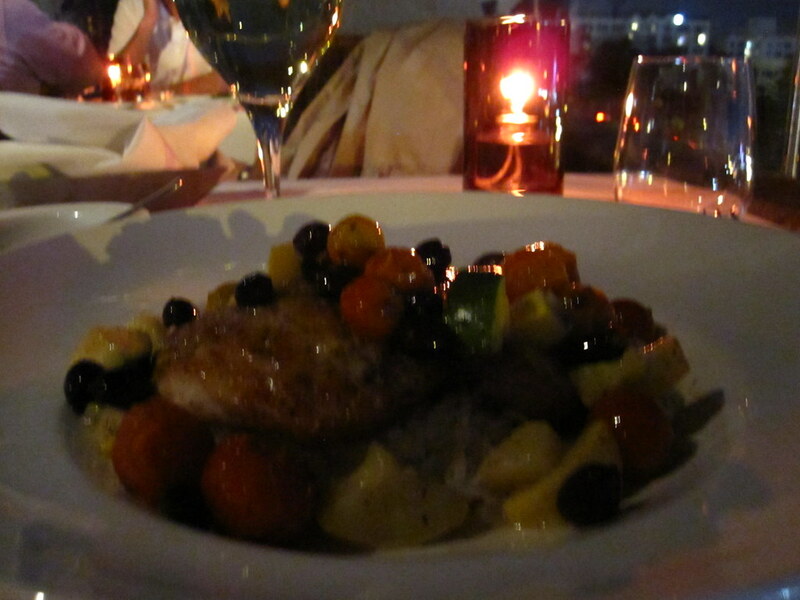 when dinner was finished, i headed back to the hotel to relax for a while. i was full! i called my friend tiffany, who i've known since 4th grade, and made plans to see her the next day. she lives in LA so we seized the opportunity to spend time together. when i realized it was only 7pm, i decided it was way to early to turn in. i strolled around town for a while, treated myself to pinkberry for dessert (not that i needed it) and returned to the hotel around 10. that night, i slept like a rock. in the meantime, feel free to check out my flickr stream for more photos! 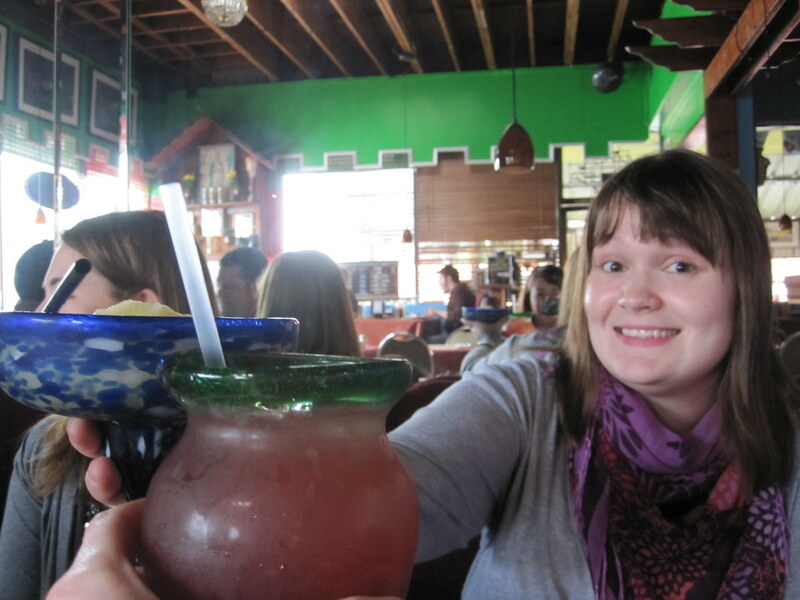 worst picture of me ever holding the best mango margarita ever. Wow out for dinner and happy hour by yourself - you are braver than I am! The pics look awesome, how was the weather out there?